Councilman Michael Nowakowski is a lifelong resident of Phoenix. He attended St. Mary’s High School and holds a Bachelor of Liberal Arts Degree in Religious Studies from Arizona State University. He is married to Delia Ortega-Nowakowski and is a proud parent to Victor, Michael Ray, Irene, Carlos Raul, Raymond and Angel. They drive his spirit of service. Dignity Health Hospital: The first and only Hospital in the Laveen area. Amazon Distribution Center: A 1.2 million square foot distribution warehouse. South Mountain 202 Freeway: Provides needed accessibility and mobility for the region. Margaret T. Hance Park: Grand Urban Park planning project in Central Phoenix. Complete Streets Project: Artistic enhancements and sustainable improvements including bicycle paths along several corridors in the Downtown neighborhood areas. Tuesday Morning: Upscale discount retailer with 593,500 square feet of warehouse space. Living Spaces: Home furniture store, 450,000 square foot facility. ASU Center of Law and Society: The relocation and expansion of Sandra Day O’Connor Law School to the Downtown Phoenix area. Central Station Project: Mixed-use sky rise signature building. Dr. Martin Luther King Boulevard: Ceremonial naming of the first in the State of Arizona. Broadway Road: largest street transformation project that entails the expansion from two lanes to six lanes for greater alternate routes into Central Phoenix. Mexico City Trade Office: Grand Opening to strengthen foreign direct investment, expand export opportunities for Phoenix businesses and promote tourism. Michael is also the Vice-President of Communications for the Cesar Chavez Foundation, a network of nine Spanish-language radio stations in the southwest. Prior to the Cesar Chavez Foundation he worked for the Catholic Diocese of Phoenix where he served as Assistant Director of the Office of Youth and Young Adult Ministry and Director of Hispanic Ministry. Michael is also a Corps member of the Consular Corps of Arizona where he works to facilitate and enhance relationships between Mexican and American governments and the people of Arizona. 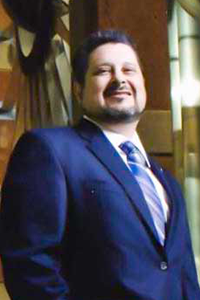 Board Member – Downtown Phoenix Inc.
Councilman Michael Nowakowski has the experience to make our city safer, our schools stronger and our economy more sustainable. Throughout his life he has worked to make a difference and build community. His philosophy of service to others was deeply influenced by his parents, who taught him the value of community involvement. He recently received the Othli Award, which is considered the highest honor bestowed by the Government of Mexico to an outside leader that acknowledges and celebrates the commitment, vision and impact of an individual in lifting the Mexican or Latino community. Michael will continue to strive to strengthen the community and empower its members. Support the cause and let’s make our dream come true!